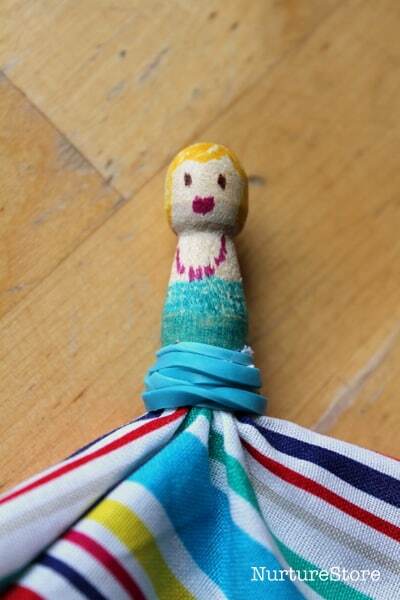 Have you ever made peg dolls with your children? Mine love them. Youtake the simplest of materials and you can easily create any number of characters. You can buy traditional wooden pegs inexpensively in the household aisle of many stores, from craft shops or online. We like to use permanent markers, rather than paint, to add features, as they make it easier for younger children to get the look they want, and dry instantly, so you can start playing straightaway. Another tip is to use elastic bands or double-sided sticky tape to fasten your clothes in place. Both are mess-free, instant, and again you don’t have to hang around waiting for them to dry before you can play. And then we use bits and bobs from the craft shelves or recycling box to add extras: fabric, wrapping paper, felt, card, washi tape. What kind of character could you make? The only limit is your imagination. 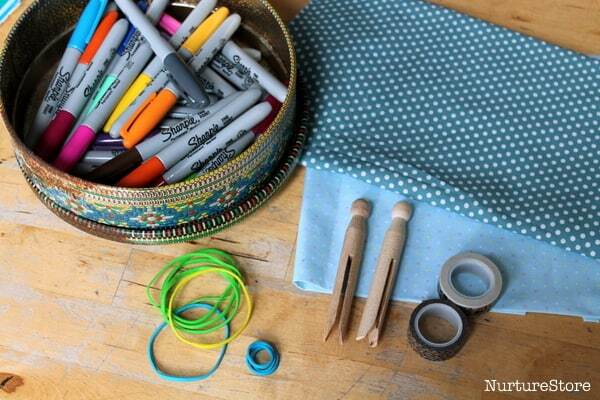 Your child might have a clear idea of who they’d like to make, or the materials on offer might give them an idea. It could be someone they know, a film or TV character, someone from a story book, or someone from their imagination. As you are making your peg dolls, ask some questions about the person they are making. This is where the storytelling begins. Chatting as you craft is a very relaxed way to conduct a literacy lesson! Research has shown that great creative ideas can occur when you are involved in some other, fairly simple, task – washing up, taking a shower… or making peg dolls. We’re not looking to fill a page with three paragraphs of a story, but rather we are collaborating to create some oral storytelling. 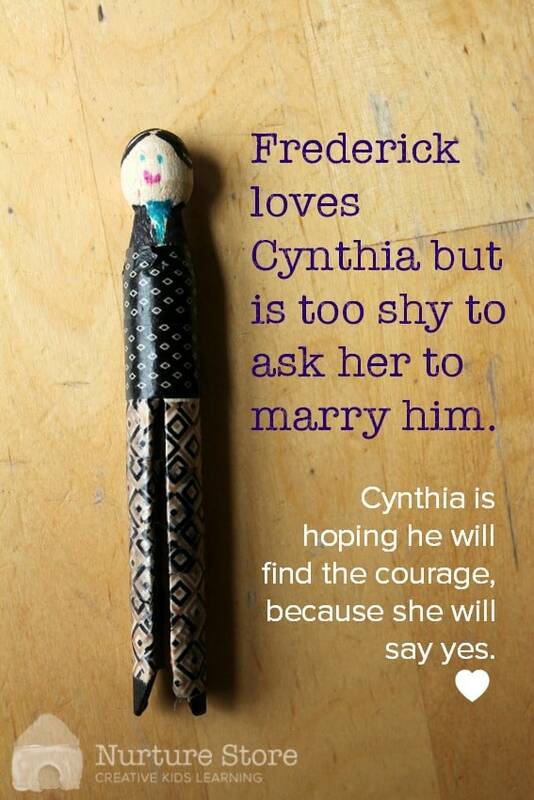 Asking questions about the peg doll person can very quickly generate a fascinating life story. 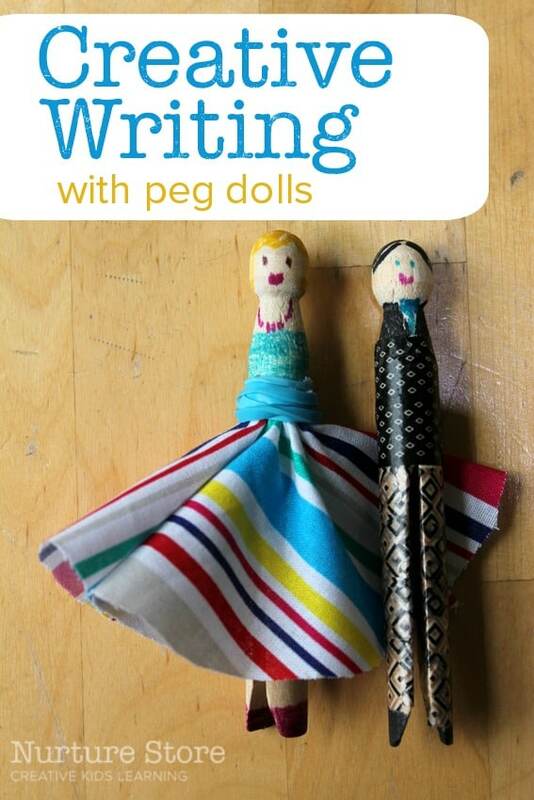 If you sit alongside your child and make your own peg doll, they can interview you, and you can model the idea of creating a story around the puppet. And then you can swap and they can tell the story of their character. You might want to write the story down, but we prefer to tell our story orally, or to act out a drama with our puppets. Another fun way to capture the ideas is to take some photos. You might like to stick them in a journal and add speech bubbles, or create a comic strip around them. 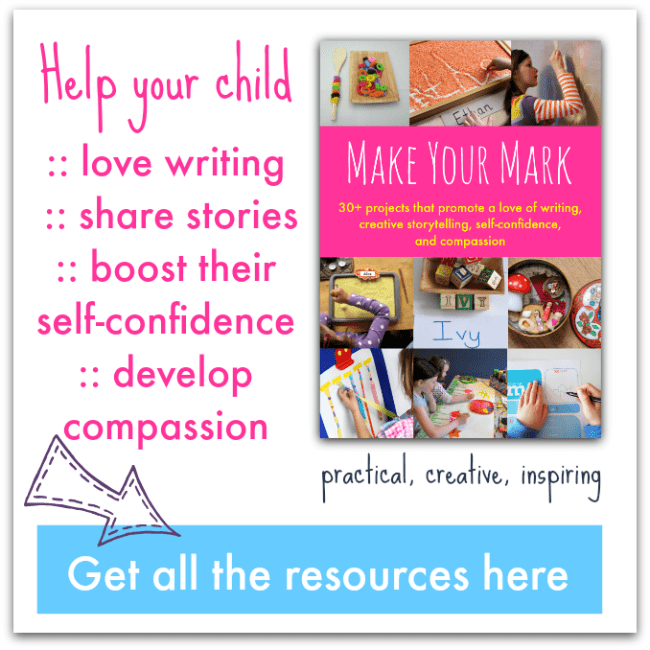 A cute way to capture the essence of the story is to make an ‘all about me’ photo – like the kind you see all over Pinterest at back-to-school time or on a child’s birthday. 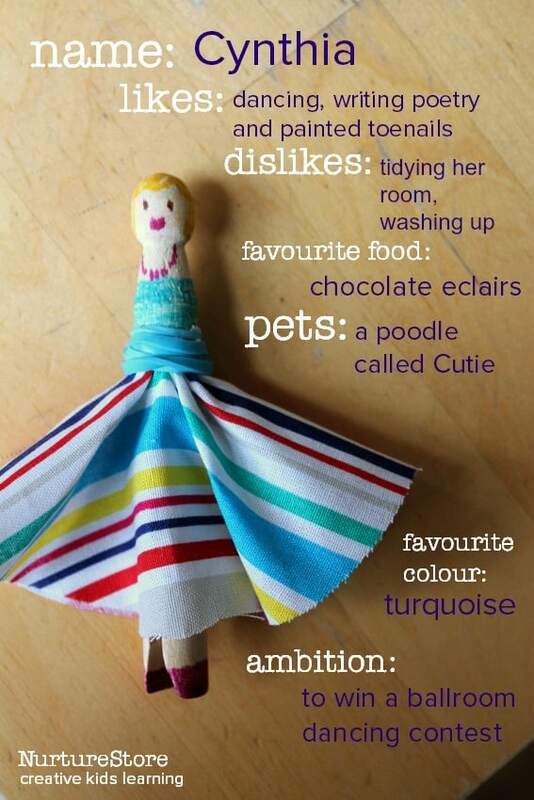 You can upload a photo of your peg doll into Picmonkey and help your child add text on top.